Atlantic Avenue is narrow, evenly-graded road, with a row of large buildings on the left side. Several automobiles have pulled off to the right side of the road, to look out over the ocean. Two women walk along a sidewalk that is left of the road. In the distance, the Clarendon Hotel can be seen at the far end of the road. 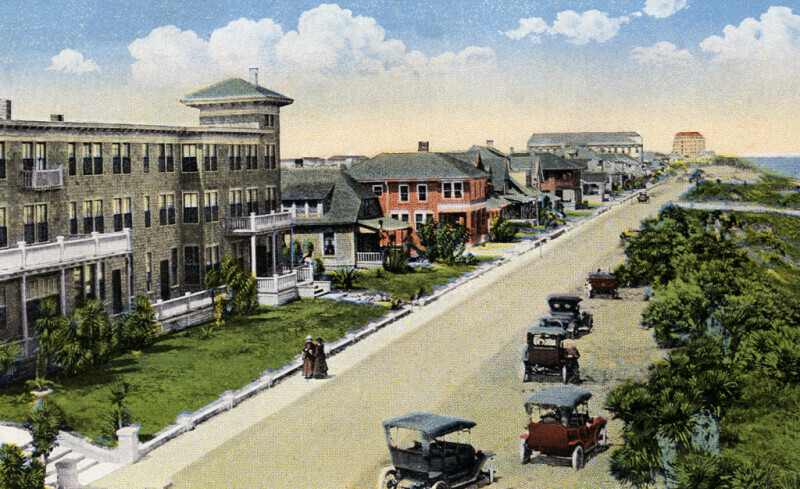 The large building to the left appears to be the Seaside Inn. WARNING: You are about to download a 4.3 MB TIFF!